How do you get the best price possible when buying Arizona luxury real estate? The Exclusive Arizona Buyers Agent solely represents the Scottsdale luxury real estate buyer and is committed to negotiating the best possible price for the buyer’s dream home. This specialized agent is in tune with the Scottsdale luxury real estate market, has unprecedented accessibility to all possible luxury homes and is an expert negotiator. The experienced Scottsdale buyers agent performs services the seller's agent might not, such as provide solid reasons not to buy a particular property; negotiate the best price and terms; include contingencies in the contract for protection, rather than the seller as in most standard contracts; and strengthen the bargaining position of Scottsdale luxury home buyers. By the sheer nature of their expertise, the Arizona buyers agent in Scottsdale is committed to identifying all homes in the marketplace. 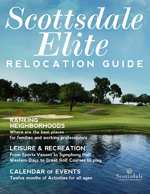 They have access to a large inventory of Scottsdale luxury homes including MLS listed and more. This commitment to a comprehensive search for all available properties can be especially important when looking for Scottsdale luxury real estate such as vacation homes, estate homes, and other luxury properties. Scottsdale buyers agents will ensure that homebuyers have access to all of the data on listed homes including the address and complete property data. The Scottsdale buyers real estate agent has many fiduciary duties to his/her client such as loyalty, obedience, disclosure, confidentiality, reasonable care and diligence, and accounting. They leverage their experience to develop creative solutions to issues and build trust with honorable and transparent business practices. Their job is to understand the interests and goals of the Scottsdale luxury home buyer, and translate them into effective communications with other people involved in the transaction. Throughout this complex transaction, this buyer’s agent serves as advocate, negotiating on behalf of the buyer and providing guidance, direction, coaching and support.